I got to see the new Disney film The Lone Ranger on Sunday the 23rd. I was visiting California Adventure and saw a sign that annual pass holders could see the film at 12:00 or 4:00. 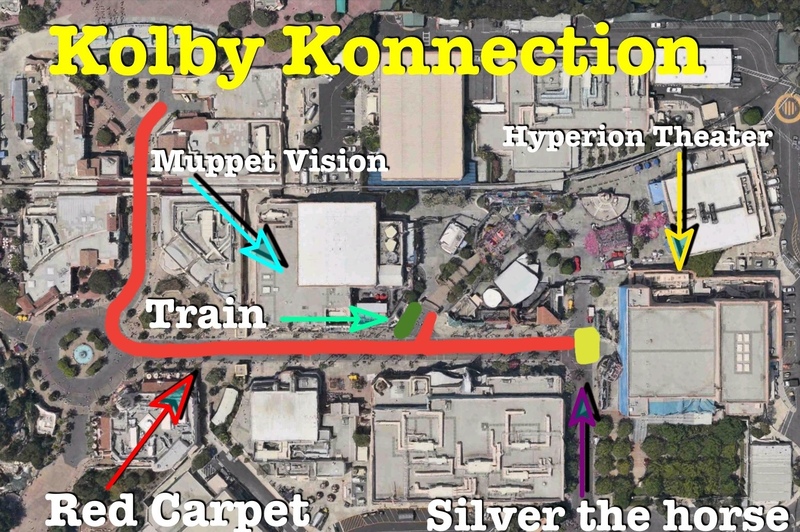 We went to the Muppets theater and they scanned our passes. We walked through the theater seating area and went to one of the three cast members. They gave out two different wristbands, one for each time. We came back at 3:00 and there was already a line. As we entered the building they checked bags and gave out Lone Ranger masks. If you had a bag with a camera in it you had to check it in. Then you walked in the theater to see film! As we waited they had the Lone Ranger logo on the screen and played the films soundtrack. I don’t want to spoil the film, but it was amazing! My only dislike was there was a major continuity error. Most of the film takes place near Colby Texas but it takes them only minutes to get to northern Utah. In reality it would take hours. But this is still a fantastic film with a lot of humor. I urge you to go see it when it comes out this Wednesday. 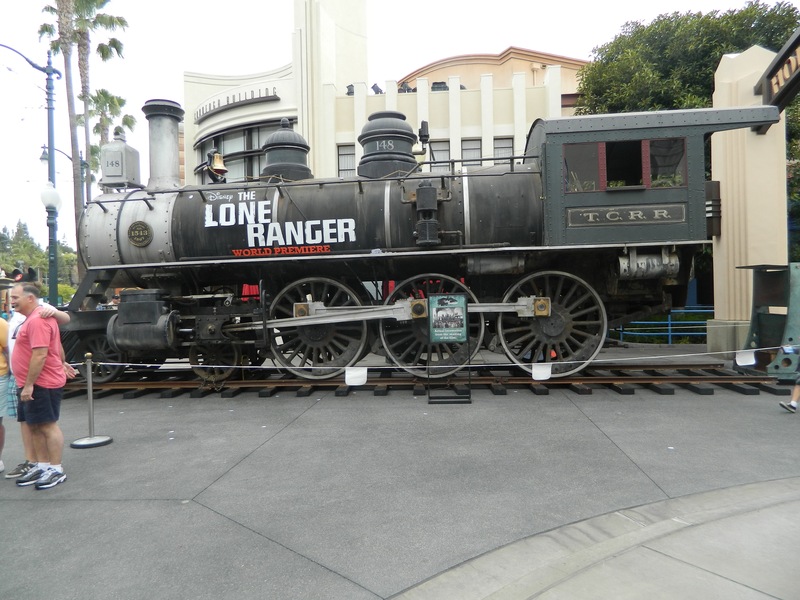 On Saturday, June 22 California Adventure hosted the world premiere of The Lone Ranger. 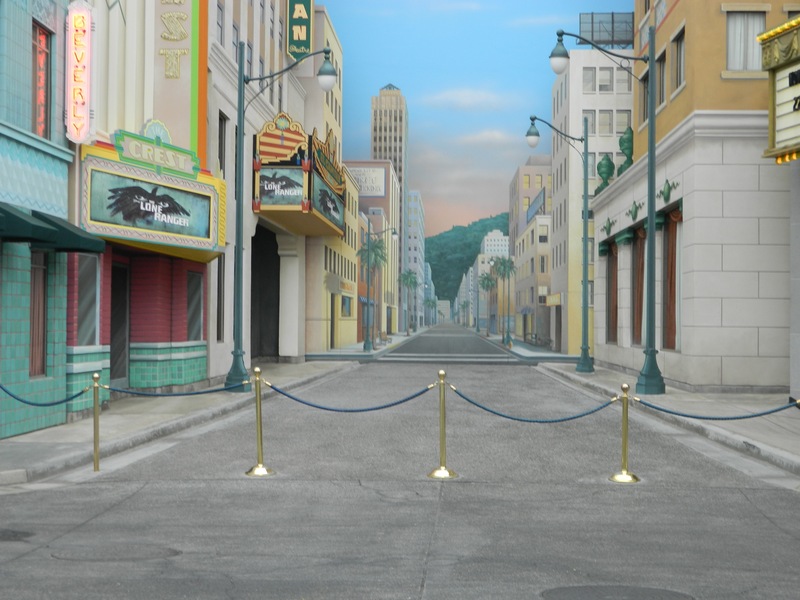 They had a red carpet along Buena Vista Street and down Hollywood Boulevard to the Hyperion Theater. On the paths leading to Muppet Vision they had one of the trains used in the film. Here was the stage that the actors walked up and they shot out paper that had Texas Ranger logos. 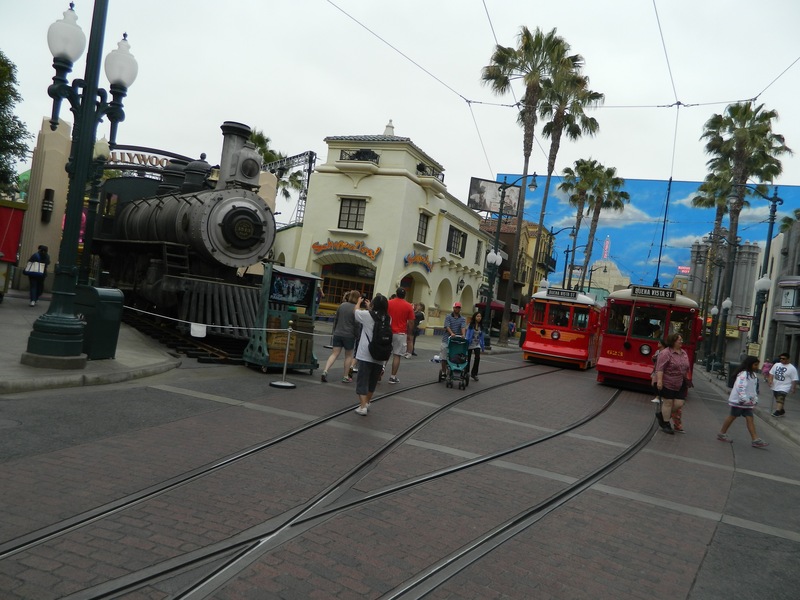 They left the train there for a few more days and then moved it to the transportation center off of Harbor Boulevard. They also changed the marquees on the Hyperion Theater facade. Are you going to see the Lone Ranger this Wednesday?